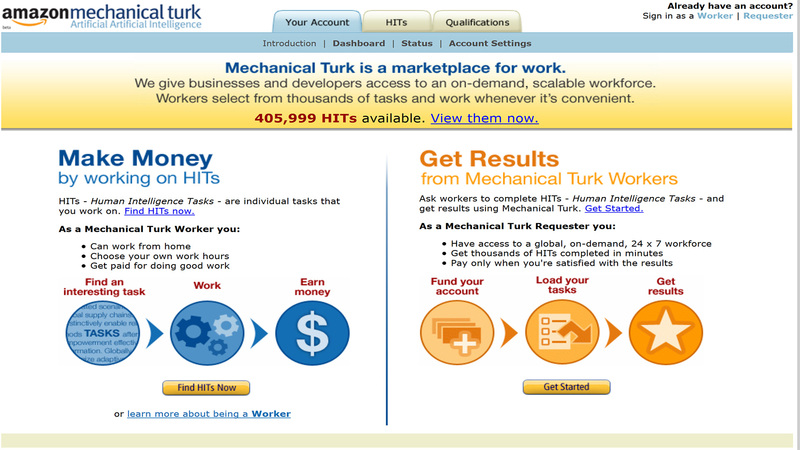 Amazon Mechanical Turk, also known as Amazon Mturk specializes in microtasking. As the word suggests, a microtask is a small, quick task that should only take a few seconds to minutes to complete, but will also pay a small amount. The idea behind Mturk is for people to earn some extra cash as flexibly as possible. You can sign in any time you’re available for work, choose the tasks you want to complete, and start doing them. Businesses and individuals set up jobs through Amazon Mechanical Turk when they need to take a load off their shoulders by outsourcing small tasks. Your work can include things like transcribing audio, inputting information into a spreadsheet, tagging images, or researching email addresses or information from websites or businesses. Every day can be a different scenario for you, which can make working for Mturk fun if you love variety in your work day. But, learning the ropes of Mturk isn’t quite as simple as just jumping in and getting started, like I did! I wish I had read helpful information before getting started so I knew which tasks to try and which ones to stay away from. 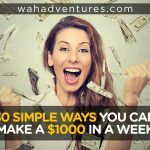 Fortunately for you, I’m creating this helpful guide so that you can learn all about the system and how to maximize your time completing tasks for cash! Want to know how to work in Amazon Mechanical Turk? You’ve come to the right place! I’ve personally used Mturk for over a year now, so I’ve learned some helpful tricks of the trade to share with you. Here’s everything you need to know about using the Amazon Mechanical Turk system, plus helpful pointers for tasks to try and tasks to avoid. Who Can Complete HITS on Mturk? Amazon Mechanical Turk does allow some people outside of the United States to work on its HITS, which is what its tasks are known as. Unfortunately, there doesn’t seem to be a list of accepted and non-accepted countries. So, your best bet is to contact Mturk if you’d like to sign up to see if your country is available. U.S. citizens who live elsewhere cannot work on HITS, though. You must actually be living in the U.S. if you’re a U.S. citizen to work on Mturk. Also, it’s important to note that not everyone will be eligible for all HITS on the site. You may not have access to certain jobs until you qualify for them. To do that, you may have to complete a qualification exam or complete a certain number of similar HITS. These types of HITS usually require a specific expertise or more experience than others, so they need only qualified people to do them. If you want to qualify for more tasks, check out the Qualifications tab. This will display a variety of qualifications you can request to take to open up more HITS. As a worker for Mturk, you’ll be an independent contractor. This means that you work on your own schedule and you’re responsible for your own taxes. If you live in the U.S., you should get a 1099 form if you earn at least $600 with Mturk for the year. But, make sure you still keep track of your earnings for your own records to ensure that it matches the 1099. If you don’t earn $600, you won’t get a 1099, but you’ll still need to report the income under Schedule C with your tax return. Those in other countries will need to follow their country’s tax rules for independent contractors or similar titles for that country. How Much Can I Earn with Amazon Mechanical Turk? This really depends on how much time you put into it! Like most similar microtasking websites, you may find tasks one day that pay well for little work. Other days, you may not be so lucky. But, once you find the types of HITS that can maximize your earnings (ones that you can do quickly and earn more from), you can get into a better schedule. HITS pay a different amount, depending on what the requester needs. Some are as little as one cent per HIT. Others could be $1 or more, but may take more time. Currently, for example, there’s a HIT requiring workers to find the website of a company by using Google. 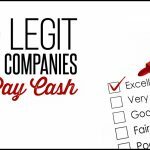 Each website found will pay $0.02, but it’s quick work. The higher-paying hits are usually transcription tasks, which can pay $20 or more around an hour of transcribed audio. These obviously will take longer to complete, but if you’re an efficient transcriptionist, you can earn more than minimum wage with these tasks. Some workers can earn a full-time wage from Mturk, but it’s not typical. Reddit forums provide a more realistic view of what you can earn, which seems to average between $50 and $100 per week, depending on the time you spend on the platform. Amazon offers two options for your Mturk payments: Amazon Payments or an Amazon gift card. This isn’t very convenient for those who want their money to go straight to their bank accounts or PayPal account. But, your earnings do make it to your Mturk account once a requester approves your tasks. There’s only an initial holding period for new workers until they’ve been active for 10 days. After that, your earnings go straight to your balance. You can then choose to transfer your earnings to Amazon Payments or a gift card. From Amazon Payments, you can transfer money to your bank account if you choose. I personally like using an Amazon gift card, since I purchase a lot on Amazon. But, if you need the cash itself, send your money to Amazon Payments and eventually it can go to your bank account. You only have one transfer per day, so make sure you only transfer once you have what you want in your account for that day. What Happens After I Complete My Task? Once you complete a task, you have to wait for approval from the requester. Requesters have up to 30 days to approve tasks. Unfortunately, that means that you may need to wait 30 days to see any earnings, depending on how speedy the requester is. In my experience with Mturk, most requesters approve tasks within a couple of days, at the most. Once your HITS are approved, you’ll see your earnings show up in your balance immediately. If your HITS are denied, you should first check that you followed all the instructions carefully. If you believe you followed instructions well, you can get a hold of the requester to ask why your HIT wasn’t approved. Do this by clicking on “Contact the Requester of this HIT” in the HIT itself. Signing up for Amazon Mechanical Turk is simple. Go to the website and fill in your Amazon details, if you have them. If not, you can create an account. Then, browse through the HITS to find ones that match your skills or look interesting to you. Spend some time trying different HITS to get a feel for what ones might suit you best and using the site. I’ve spend enough time on Amazon Mechanical Turk to know how to use it and what works for me. Personally, I like it for side income, but wouldn’t rely on using it as a full-time job. It’s simply not the best use of my time to make money. I’ve had some HITS get rejected, even though I’ve followed all instructions to a T.
Unfortunately, there are some scammy requesters on the site who use workers to get their tasks done and don’t have any desire to pay them. Amazon does what it can to keep this from happening, but there’s only so much it can do. However, it does take fraud seriously, so if it happens to you, be sure to report it. I haven’t had that happen much, though. Most requesters are willing to pay for your work. When I have some free time, I hop on Mturk to see what’s available. I usually look for one task with a lot of HITS that I think I can complete quickly and keep going until I make about $5. If I start some HITS that seem to take more of my time then they’re worth, I’ll stop doing those and find something else. The good thing about Mturk is that you can do the types of HITS you want. You’re never obligated to do ones that don’t fit your skills or interests. Just make sure that, if you accept a HIT, you finish it. Overall, Mturk is a legit way to earn some side cash to help with some bills, groceries, or even entertainment for the month. But, I suggest using it as a fill-in for better-paying jobs, rather than spending hours every week doing small tasks on Mturk. What are the Best HITS on Mturk? Again, this depends mostly on your skills. Skilled transcriptionists have the most potential to earn good money here, as transcription tasks tend to pay the highest. 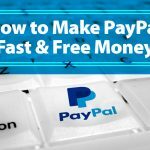 But, there are also some one or two-cent tasks that are so quick to complete that you may be able to rack up money quickly if you learn how to do them efficiently. These HITS are offered by requesters such as Castingwords (review) and Speechink, and can vary in price from as little as .40 cents for some of the shorter Castingwords hits on up to several dollars for some of the longer Speechink hits – however those hits usually require that you have a higher rating with SpeechInk. If you’re new to transcription, I suggest starting with SpeechInk transcription HITS, because there are usually only two speakers involved, and they’re usually easier to understand. SpeechInk posts audios of many different things, such as interviews with insurance claims adjusters, as well as business presentations and voicemails. Voicemail and insurance claim interviews are generally verbatim transcriptions, where as business presentations are usually nonverbatim. CastingWords HITS on the other hand can be more than two speakers, and there’s sometimes a lot of crosstalk in CastingWords hits, which makes it more difficult to transcribe these HITS if you’re new to transcription. Castingwords hits can be verbatim or nonverbatim, so again make sure you read the guidelines carefully. In addition, some new requesters have started posting short audios of medical school lectures. No matter wich requester you choose to do transcription for, be sure you follow the guidelines or your hits will be rejected. I like doing these because they’re easy and can add up quickly. It can be difficult to find legitimate survey hits on Mturk, though there do seem to be more legitimate survey opportunities being posted. In general, if the survey HIT asks for information such as my address and/or phone number, I stay away from it. Most survey HITS will tell you how much time you should plan on spending on the survey, so be sure you have that much time to spend on the survey before accepting the HIT. 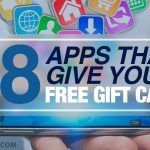 These HITS involve typing information from business cards – the fields provided are name, title, company, email, website, address line 1, city, state, zip code, work, fax and cell phone numbers. In addition, you have the option to add additional lines to the address if needed, and there’s a link you can click on if the phone number is not a US phone number. You also have to crop the company logo or image from the business card. These hits are only worth 2 cents each, but once you get used to them they go very quickly. This is a new HIT that I’ve seen posted lately by a requester called rzhetsky.lab. You have decide from the choices provided which part of speech the highlighted word is, or if you’re not certain there’s a link that brings up the dictionary.com entry for the word, which shows the part (or parts) of speech the word can be used as. If you think the word is being used as a part of speech other than the ones listed in the hit, you can type in the part of speech you think it’s being used as in one of the blanks that follow the parts of speech provided by the requester. There are many requesters that post HITS asking for articles on different subjects. The pay for these HITS, as well as the length of the articles, varies from one requester to the next. Just like with transcription hits, be sure you follow the requester’s instructions about how long the article needs to be, and if any keywords need to be mentioned a certain number of times. These are just some of the different types of HITS that are posted on Mturk – there are many others. Tip: If you have a question about how to do a hit, the best thing to do is contact the requester. If you have a question about whether a hit is legitimate, you can check out their FAQs for samples of hits that violate Mturk’s policies. If you’re still unsure about a hit, the next best thing to do is contact Mturk via their “contact us” link, and provide as much information as you can about the hit, including the name of the hit and the requester’s name. Amazon Mturk is a valid choice for earning some extra cash online. I just wouldn’t recommend it as a replacement for a full-time job. But, stay at home moms or those who just need a little extra cash to help with bills can definitely benefit from the platform. I hope this guide was helpful to you and I’d love to hear about your experiences with Amazon Mturk! Let us know all about it in a comment! Cool! I do some work on Mturk but I don’t always like how they can take your qualifications away really quick. Blah! Nice review tho! Very nice review however I’ve never noticed a $4 fee to transfer to my bank account. Guess I should look to make sure, lol. Ok, at one time there was… guess I need to keep updated with what’s going on lol. Doesn’t look like there’s a $4 fee anymore, HOWEVER you do have to have a $10 minimum balance in your Amazon Payments account, and it takes 5-7 business days to be processed, per MTurk’s website. You only have to have a $1 minimum balance to use the money to shop on Amazon.com. Thanks, Erica. I always wondered what that MTurk was about even though I have seen it mentioned on different WAH-type sites. It was never clear to me until now. Sounds like it could have a variety of work for someone who’d want to do different types of office tasks. Thanks. Crazy me! The name always reminded me of MacTruck! LOL. So now I know I was waaaayyyy off! Thanks again for a great review and another possible egg! Very informative article about MTurks. Glad to see the addition of what to watch out for. 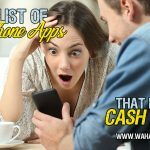 There are a lot of junk offers, but with some study of the program and after learning what to watch out for, this type of work can be a great method for earning some extra change. can you tell me how to download an audio file from mturk to express scribe and then complete the hit on mturk? I’ve found MTurk to be most profitable for university surveys (just search for survey) and for transcription. I found the most I could average per month over several months was about $100-$125 month. It is great for just applying what you’ve earned to an Amazon order. Not bad for an estimate of “as little as .01 per HIT to as much as $10 per HIT”. As i should say, MTurk is a good start for freelancers to build their careers. About the payment method, does MTurk also have local wire transfers for other banks? regarding mturk. I was approved after a 48hour wait. When I went to apply to mturk I noticed they ask for your social security number. I closed the window after seeing this. Why would they ask for my soc? I am very skeptical about any site asking for this. Lily, they ask for your social security number so that they can send you a 1099 at the end of the year if you make over $600. 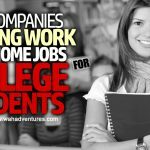 It’s perfectly legitimate to do, many sites that offer work at home jobs ask for it. Thank you. I needed to hear some feed back that’s all. Whenever I am asked for my soc online I get a little scared. I would like to know if egypt as a country acceptable to signup in Mturk or not?